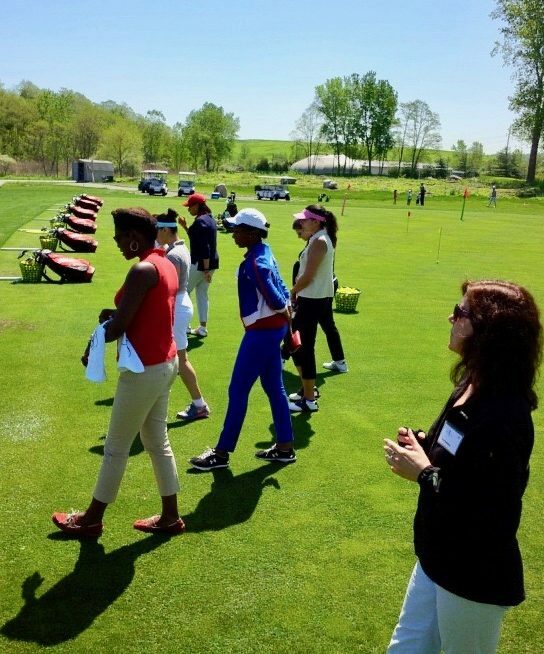 Gathering on the Greens® – Empowering Women To Get In The Game! Golf is a game that can be played by people of all ages for a lifetime & it counts as exercise! Don’t pass up another invitation from your clients or colleagues to play a round of golf! 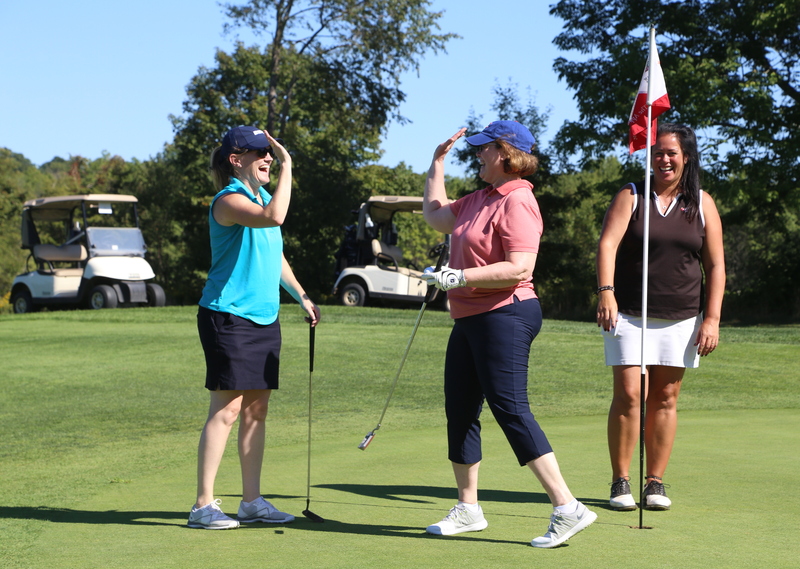 The Gathering on the Greens® experience aims to empower women to be initiators in inviting clients or prospective clients to play a round of golf. Created with the beginner in mind, our events are open to women of all ages, backgrounds, business disciplines, and golfing abilities. It’s time to cross “learn to play golf” off your bucket list and get out on the course with your peers! Relationship building with clients and colleagues is critically important to career success. According to a recent survey conducted by Catalyst, 46 percent of women cited “exclusion from informal networks” as the biggest impediment in reaching their career goals. Golf was cited as one of the primary informal networks from which women feel excluded. According to the World Golf Foundation, walking an 18-hole course is roughly 5 miles (right on pace for hitting 10,000 steps) and can burn up to 2,000 calories. Sign up for our newsletter to get the latest golf tips and trends, career hot-topics, networking strategies, and alerts on upcoming events!